Recovery from sporting injuries can be very difficult, especially for injuries that require surgery. Common injuries that lead to surgical repair can range from simple broken bones through to more complex joint structures that can damage multiple tendons, ligaments and internal joint structures. Arthritis from previous injuries or genetic predisposition are also very common reasons for surgery. 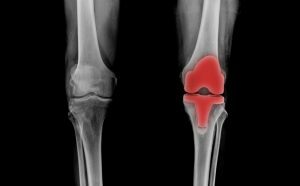 While these injuries alone can be debilitating, there is also the issue of secondary injuries that can cause chronic problems for years after a successful operation. As the body readjusts to its new biomechanical structures, your strength and flexibility can be affected. Therefore, these imbalances within your body’s structure must be adequately treated and corrected to allow your body to fully recover. To provide an example, a simple broken leg can be corrected with straightforward surgery. However, without proper recovery as the injury heals, you could create an imbalance in your leg length, which can then lead to a change in your normal gait. Or you could overload one particular muscle, causing stress and weakness, which could result in stress on your back as you overcompensate to protect it, leaving you with constant back pain. 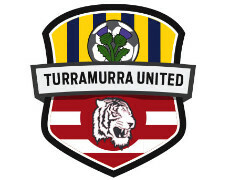 Here at Turramurra Sports and Spinal Physio, you will be able to work on your rehabilitation safe in the knowledge that as well as recuperating the primary injury that required surgery, your personalised program will be specifically built to proactively manage any side effects that can cause injuries further down the recovery road. Our post operative rehabilitation will aid your recovery process by relieving any pain and returning your body to optimal range of motion, flexibility and strength. We will work with you to understand your current situation and your eventual targets before commencing a structured program, including exercises, manual therapy and stretching among other techniques. In addition to this, we will work alongside your GP or specialists as well to facilitate your treatment, essentially providing a complete physical rehabilitation service. It is our firm belief that it is vital for us to not just fix and forget you! Here at Turramurra Sports and Spinal Physio, we have a number of experienced physiotherapy professionals who have numerous years of expertise and work with internationally ranked athletes. More importantly though, we genuinely care about your recovery. We combine our traditional values with state of the art facilities and the very latest expertise in the field to provide the best post operative rehabilitation outcomes. It is our goal to listen and work with you, so that we can get you in a position to return to your sport or activity full of confidence that your body will be capable of performing at the level that you demand of yourself. Give us a call on 9144 1510 now to schedule an appointment with one of our physiotherapists.